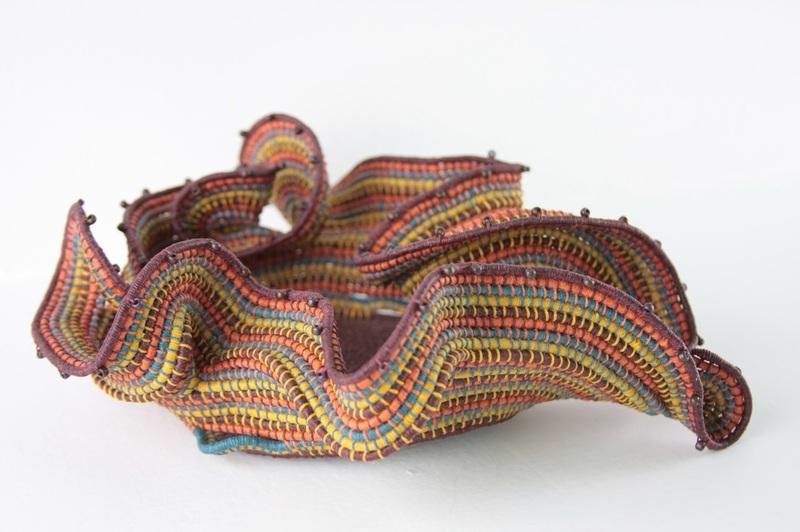 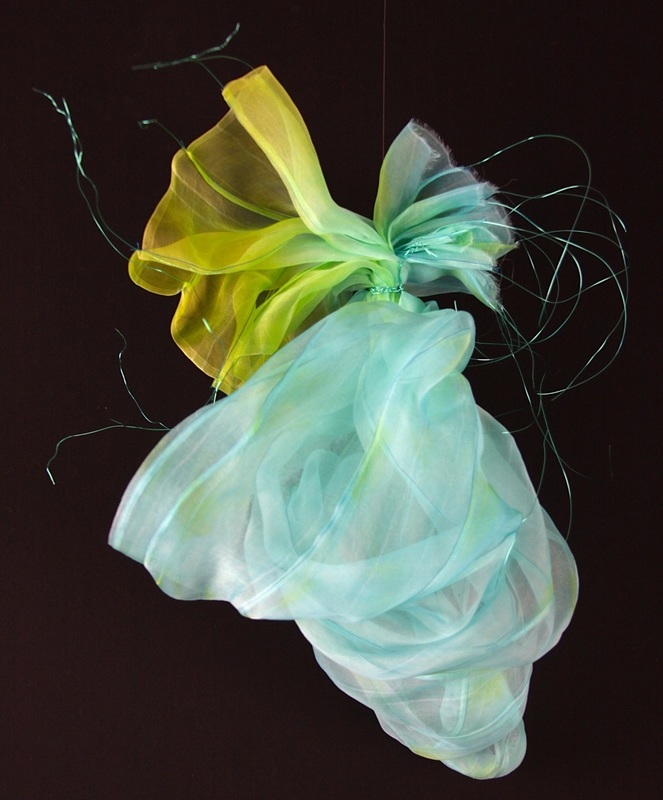 “Scroll” - Wired & stitched silk organza sculpture, 2015. 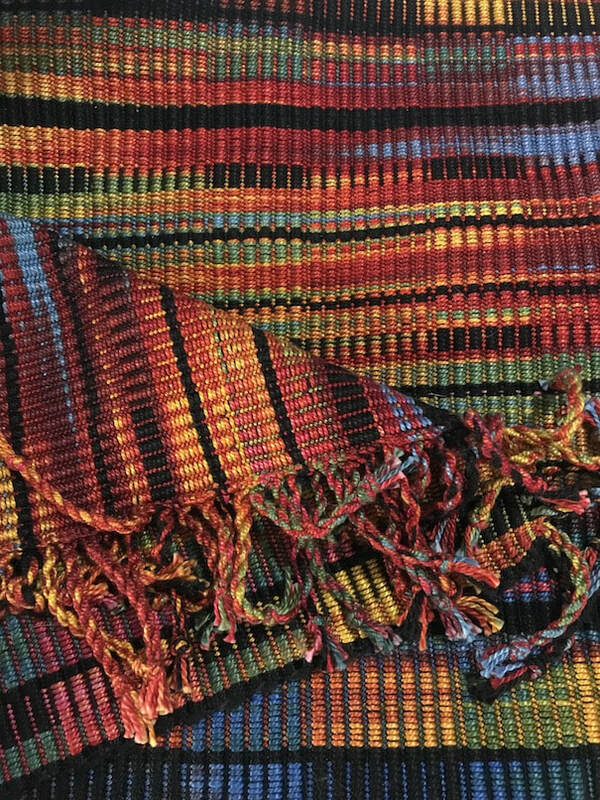 “Red + Blue + Yellow” Rug Hand painted 3/2 cotton warp with thick and thin cotton wefts sett at 24 epi. 40” long x 16” using on loom warp design. 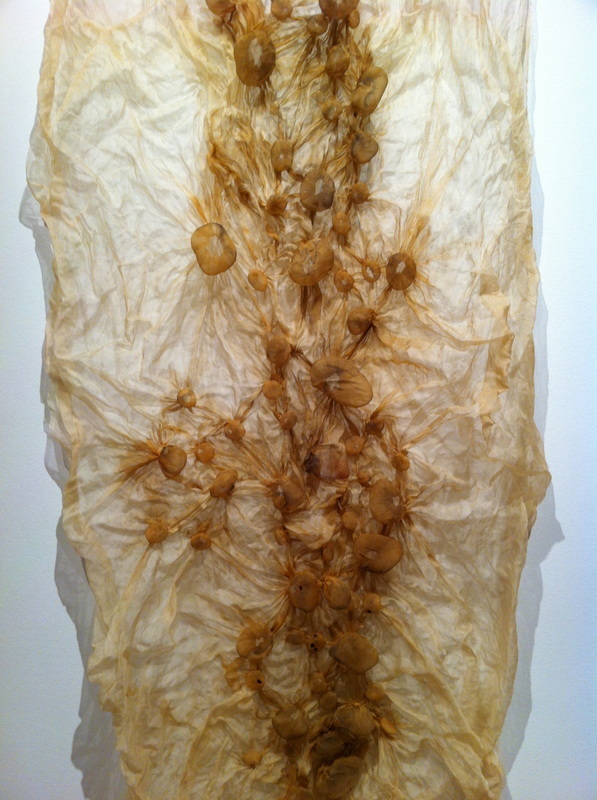 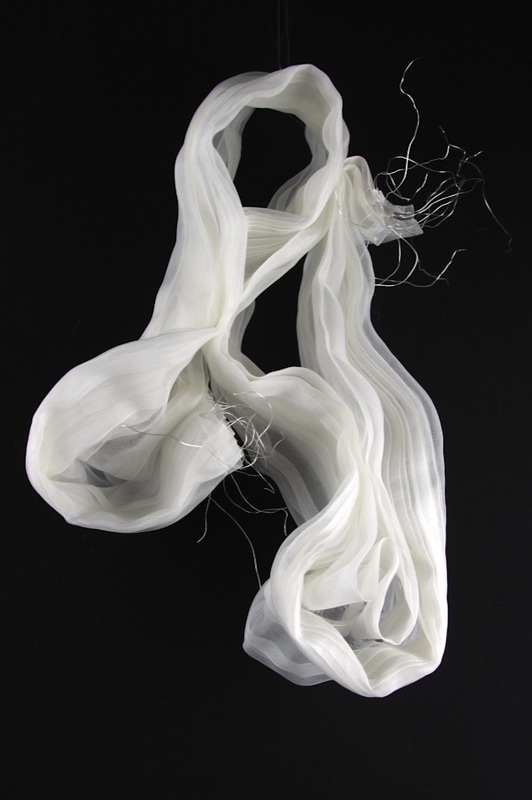 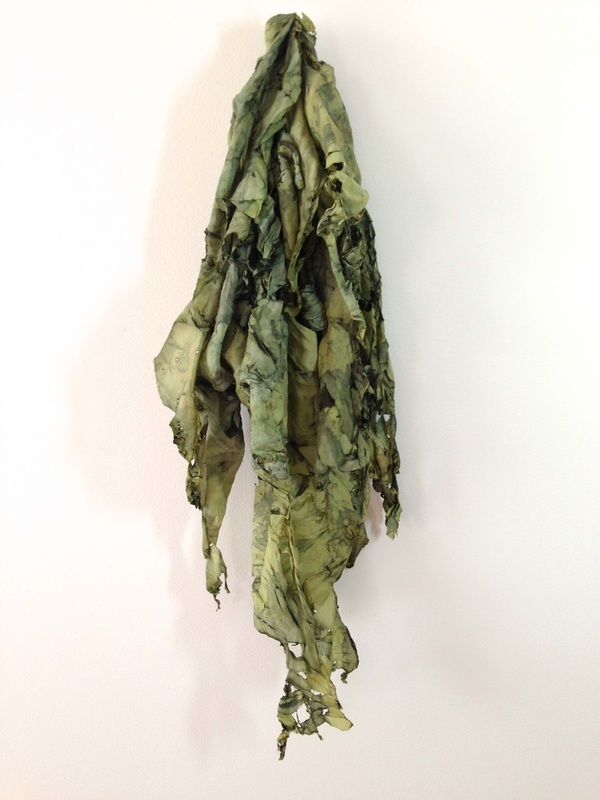 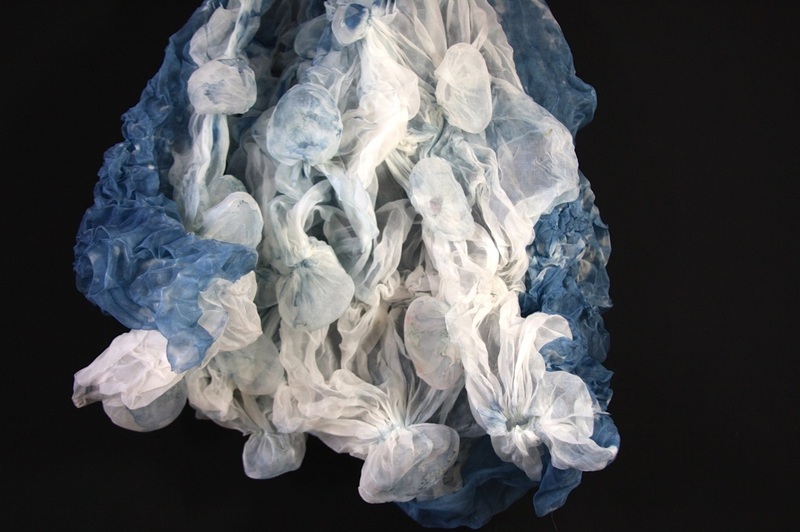 “Breaking The Surface” - Indigo dyed silk organza with Shibori resists, 2014. 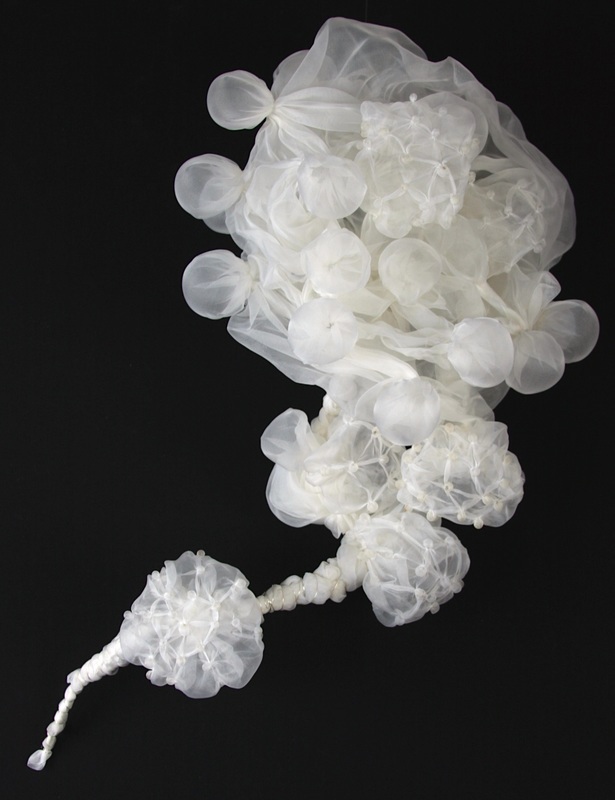 “Crystal Wave” - Wired & dyed silk organza sculpture, 2015.